Brenntag Polska is a company operating in accordance with ISO 9001:2015 Quality Management System Standard. The system allows for supervision of all processes related to the activities performed in our company. of the company by means of cautious investments in all key spheres of its functioning. SQAS – is a Safety and Quality Assessment System to evaluate the quality, safety, security and environmental performance of Logistics Service Providers and Chemicals Distributors in a uniform manner by single standardised assessments carried out by independent assessors using a standard questionnaire. of safety and quality management systems in the companies of distributors that they cooperate with. 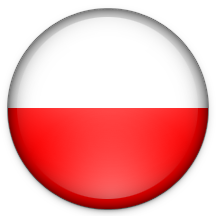 Brenntag Polska was the first chemicals distributor in Poland to undertake SQAS/ ESAD II assessment (2006/ renewed 2013). The subject of the examination were technical and organisational solutions in the offices and warehouses of the company in Kędzierzyn-Koźle, Zgierz, Jankowice and Góra Kalwaria. The results of the assessment confirmed that Brenntag Polska is the leader of its branch in Poland also in such fields as care for safety of the employees, neighbours and environment and in the field of responsibility for product and packaging. Our company strictly complies with all legal provisions regulating chemicals trade, implements internal regulations under strict European norms, participates in Responsible Care, an international program which aims at improvement of safety and limitation of chemical industry influence on the environment. Brenntag Polska has been a full participant of the program since October 2002. FAMI-QS is the Quality and Safety System for Specialty Feed Ingredients and their Mixtures. It addresses safety, quality and regulatory compliance of specialty feed ingredients and their mixtures by minimizing the risk that unsafe specialty feed ingredients and their mixtures enter the feed and food chain, enabling an operator to implement the objectives of the Feed Hygiene Regulation (183/2005/EC) and providing measures to ensure that other feed safety regulatory requirements are met. The certificate covers all feed additives produced in our location in Kędzierzyn-Koźle. Animal nutrition is an important stage of the livestock production chain.It's very similar to food for human production process, and it's expected to meet high safety standards. In order to put into effect their requirements, the Dutch Productshap Diervoeder (PDV) developed the GMP+ standard. This certificate combines the requirements of ISO 9001 quality management stadard with those included in Codex Alimentarius. It's applicable throughout all of the feed supply chain. PDV encourages all producers and suppliers worldwide to participate in this system. This certificate shows consumers that offered products have been sourced, from farm to shop shelf, in a sustainable manner which guarantees the product to meet requirements of our business partners end end consumers. The UTZ Certified label is featured on more than 10,000 different product packages in over 116 countries and is the largest program for sustainable farming of coffee and cocoa in the world. To become certified, Brenntag Polska had to follow our Code of Conduct, which offers expert guidance on better farming methods, working conditions and care for nature. This in turn leads to better production, a better environment and a better life for everyone. Good Distribution Practices Certificate is a final confirmation of all the procedures and requirements being properly filled in terms of transportation and storage of all fragile products (for example those sensitive to temperature changes) including medicines. Moreover it is worth mentioning that fulfillment of all the rules included in the GDP is required for all the companies being part of a supply chain of medical specimens on the territory of Poland and European Union.